* Amazon To Acquire Whole Foods For $42 A Share- Deal Valued At $13.7 Billion! We’ll just have to wait and see how this all plays out! Amazon is making a big bet on physical stores and the business of food. The online retail giant announced Friday that is buying organic grocery chain Whole Foods for $13.7 billion in cash. Amazon said it will continue to operate Whole Foods stores under that name as a separate unit of the company. 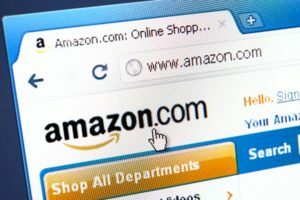 The deal shows Amazon’s interest in moving into the business of operating traditional brick-and-mortar stores, even as traditional retailers crippled by Amazon’s growth have announced a series of store closings. It also shows Amazon’s growing interest in groceries. And it demonstrates the financial might of Amazon, whose market value is greater than that of the 12 largest traditional general retailers combined. “Millions of people love Whole Foods Market because they offer the best natural and organic foods, and they make it fun to eat healthy,” said Jeff Bezos, Amazon founder and CEO. Not only is Amazon getting a grocery chain, but you are so right that Amazon now has a ton of retail locations where it can deliver products ordered online from as well as have people pick up products ordered online. No question that Amazon wants those Whole Food locations as distribution points for our goods. I heard a rumor today that Walmart maybe be readying a higher bid for Whole Foods.